Did you know that the Vatican is a country--the smallest in the world? Find out the amazing history of the headquarters of the Catholic Church. It's time to elect a new pope. Hundreds of thousands of people gather in front of St. Peter's Basilica to learn who will be the next leader of the Catholic Church. A white puff of smoke from a chimney signals the cardinals--the "princes" of the church--have elected one of their own who will continue to be the leader of the faith that has been around for more than two thousand years. Author Megan Stine charts the beginning of Christianity and its hold on members of the faith as well as the countless struggles for power (one pope was poisoned by his own men! ), the building of the Vatican and creation of the Sistine Chapel, and the Secret Archives that hold papers the church has accumulated over the centuries. Acquista Where Is the Vatican? 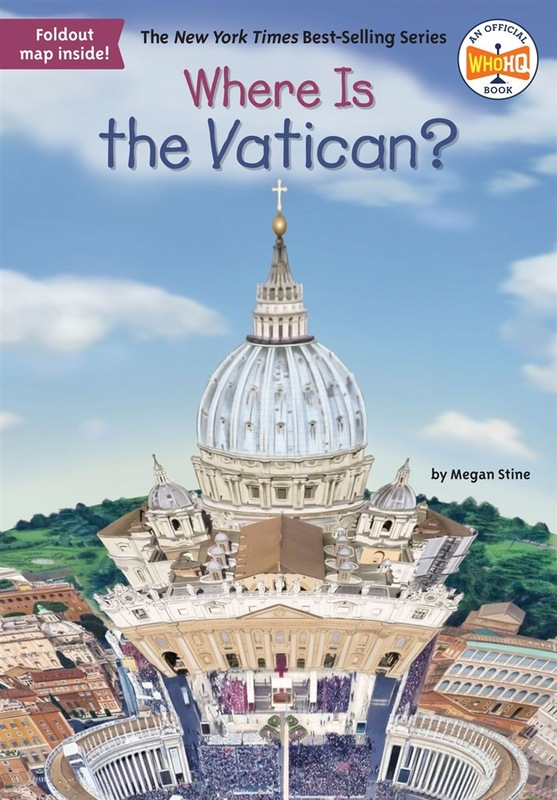 in Epub: dopo aver letto l’ebook Where Is the Vatican? di Megan Stine, Who HQ ti invitiamo a lasciarci una Recensione qui sotto: sarà utile agli utenti che non abbiano ancora letto questo libro e che vogliano avere delle opinioni altrui. L’opinione su di un libro è molto soggettiva e per questo leggere eventuali recensioni negative non ci dovrà frenare dall’acquisto, anzi dovrà spingerci ad acquistare il libro in fretta per poter dire la nostra ed eventualmente smentire quanto commentato da altri, contribuendo ad arricchire più possibile i commenti e dare sempre più spunti di confronto al pubblico online.